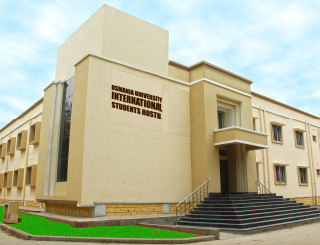 Osmania University has established University Foreign Relations Office (UFRO) in December 1999 in order to cater to the needs of foreign students. The office is located in the heart of Osmania University campus and is headed by a Director who is in constant contact with the international institutions/organizations such as the Embassies/Consulates of India in foreign countries and Embassies/Consulates of the foreign countries for facilitating the updation of the required information with regard to the curricula in vogue and the nature of programmes pursued at the University for the benefit of the prospective enrolment of foreign students. The kind and quality of service extended by the UFRO in this sphere has been in good demand and appreciation. The foreign students can contact the Director and the staff at UFRO for any help on academic, personal and health matters at any time during their period of stay. 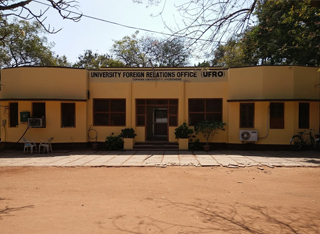 The UFRO assists in fostering relations between universities, both Indian and foreign, and helps in exchange programmes involving staff, scholars and students. Through the efforts of University Foreign Relations Office, Osmania University is now a frontline International University. It is a host to students from several foreign countries. Over 4000 foreign students, from some 78 countries, are currently on rolls studying in different colleges and university departments spread over various faculties. The countries of their origin being Afghanistan, Australia, Angola, Bahrain, Bangladesh, Bhutan, Botswana, Brazil, Burundi, Cameroon, Canada, China, Comoros, Congo, Democratic Republic of Congo, Denmark, Djibouti, Egypt, Eritrea, Ethiopia, Fiji, France, Gambia, Ghana, Indonesia, Iran, Iraq, Italy, Israel, Ivory Coast, Jordan, Kazakhstan, Kenya, Korea, Laos, Lesotho, Libya, Madagascar, Malawi, Maldives, Mali, Mauritius, Mauritania, Mongolia, Mozambique, Namibia, Nepal, Netherlands, Niger, Nigeria, Oman, Palestine, Philippines, Saudi Arabia, Senegal, Seychelles, Somalia, South Africa, South Korea, South Sudan, Sudan, Sudan, Swaziland, Sweden, Syria, Tajikistan, Tanzania, Tchad, Thailand, Togo, Turkey, Turkmenistan, Uganda, U.K., USA, Uzbekistan, Vietnam, Yemen, Zambia & Zimbabwe. The University has a good track record of International collaboration with leading institutions abroad. In the wake of globalization the University strongly believes that international co-operation holds the key to the pursuit of excellence in higher learning. As such it is developing more linkages with universities all over the world. The University faculty and students are encouraged to avail the services of UFRO when exploring the possibilities of international exchange programmes, including reciprocal arrangement of exchanges and exchanges based on MoUs signed between O.U. and foreign universities. The UFRO also assists the University in contacting its alumni and forging links with offshore alumni association of Osmania University.